In terms of traditional digital signage displays, the screen orientation can be either a horizontal landscape orientation or a vertical portrait orientation. So, how do you know which screen orientation is perfect for your digital signage? Landscape screens are considered one of the most sought-after design screens because of its diversified size. This is due to the fact that it looks similar to the size of a TV screen, which makes it more appealing than the portrait signage. Additionally, most videos are shot in landscape format, thus making this orientation the more suitable orientation. To top it all off, studies have shown that landscape-oriented screens are recalled by humans better than the portrait orientations as it is the nearest to a human’s actual field of vision. In the case of portrait orientation, it is useful for product-specific requirements, such as brand or product emphasis. Portrait-mounted screens are useful for items that have specific business needs. 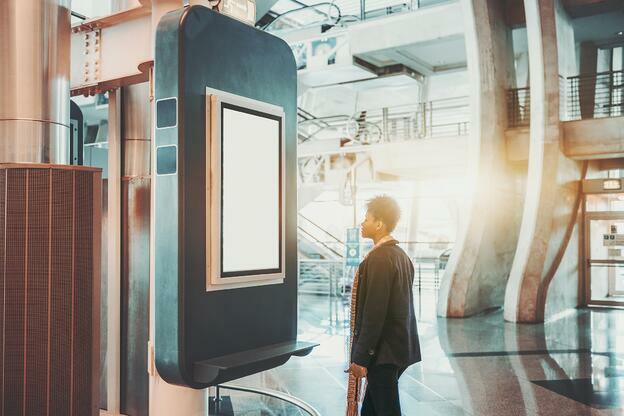 Others may need the portrait-mounted screens due to space requirements such as in building directories, on narrow columns or for digital menu boards. First, decide on the orientation at which you will hang the digital signage display - whether it should be hung on +90 or -90 degree orientation. In regards to content, what works in landscape orientation doesn't always work as well for portrait orientation. Portrait screens are not very message friendly, unfortunately. They do not have the horizontal width that allows a headline to span more than three or four words before wrapping to the next line. However, important messages don't always need to span from side to side to ensure someone will read it. If the message is backed up by good visuals, a lot can be understood from the synergized content as a whole.